Fat Burning hormones play a critical role in the body’s biochemical processes dictating gender and affect human desires to socialize and maintain healthy relationships. They influence all aspects of health including aging, sexual development, immune response, growth, sleep, mood and even how our body responds to stress. Given their complexity, it is no surprise that people who struggle with weight loss are unaware that their hormones may be the culprit. There are 5 fat burning hormones that play a critical role in regulating body weight. 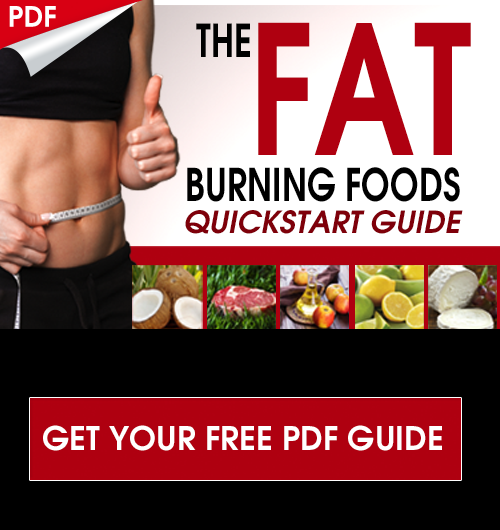 Read on to learn how they impact your ability to burn fat and how balancing these hormones can support your weight loss endeavors and improve your overall quality of life. If you are struggling to burn fat and lose weight, it may be likely that your body is not producing enough of the hormone adiponectin. When a person consumes too many calories or a diet high in fats, specifically unhealthy fats like trans-fats, the ability to synthesize and secrete adiponectin is lowered due to insulin resistance. As a result, triglyceride levels remain elevated and muscles do not have the required energy to function optimally. One of the best things for increasing adiponectin and enhancing metabolism is green tea. Drinking 1-2 cups of this organic matcha green tea daily is one of the best things for your metabolism, brain, circulatory system and immune system. This is one of the key fat burning hormones we want to stimulate to reach our metabolic goals! Ghrelin is involved in the gut-brain connection because it is primarily produced in the stomach and sends signals to the brain to control appetite. It is a major hormone involved in regulating metabolism and is also responsible for triggering human growth hormone secretion. Obese individuals have significantly reduced growth hormone secretion compared to individuals of normal weight (19). Overproduction of ghrelin activates a series of events that cause temporary effects. Ghrelin triggers the emptying of stomach contents, notifies the brain of hunger and the need for more food intake, and it also increases fat accumulation by slowing down processes that breakdown stored fat. Research shows that ghrelin concentration is directly correlated to stomach size and can slow weight loss efforts in overweight and obese individuals. 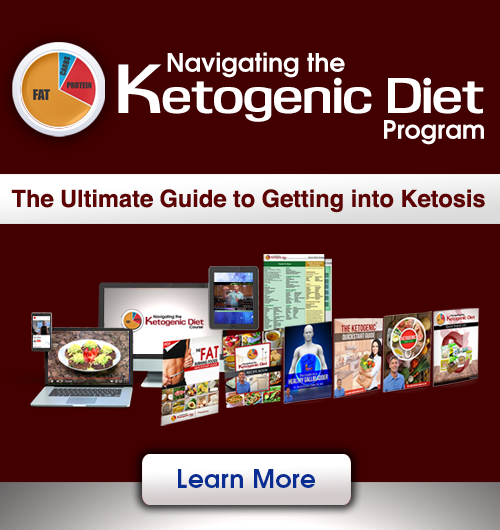 (13) Follow the strategies at the bottom of this article to support ghrelin levels and optimize your fat burning hormones. However, repetitive spikes or extended periods of high insulin levels can ultimately lead to food cravings, metabolic syndromes and insulin resistance seen in type-2 diabetes and neurodegenerative diseases like Alzheimer’s (5). Insulin resistance prevents glucose from being transported into cells, resulting in elevated blood sugar levels and blocking the impact of fat burning hormones. Excess glucose is rerouted into the body as a form of fat reserve which redirects energy that would predominantly be taken up by muscle. These physiological imbalances lead to reduced muscle growth, increased fat deposits and abnormal satiety and appetite responses that promote weight gain (18). Leptin is also intricately involved with other fat burning hormones. A deficiency in leptin can stimulate a decrease in adiponectin and consequently result in increased fatty tissue. However, increased leptin in obese individuals is linked to a decrease in human growth hormone which suggests that these individuals have chronic inflammation that is impacting the leptin receptor and causing leptin resistance (14). The more body fat one has, the more inflammation and leptin the fat tissue will produce. However, this hormone is also dependent upon other influences like gender, age, dietary habits and sleep cycles. (13) Following an anti-inflammatory diet and sleeping well is very important to optimizing leptin sensitivity and stimulating the rest of the fat burning hormones. The adrenal glands secrete cortisol which subsequently slows down the production of the hormone testosterone. When this happens over an extended duration, an individual can suffer from adrenal fatigue and they also are limited in their body’s ability to build muscle because of testosterone loss. This creates a catabolic state, where the body tears down bone and muscle and stores fat. Reduced lean body tissue slows down the bodies overall metabolism and causes the body to hold on to more fat storage leading to elevated insulin and insulin resistance as well. 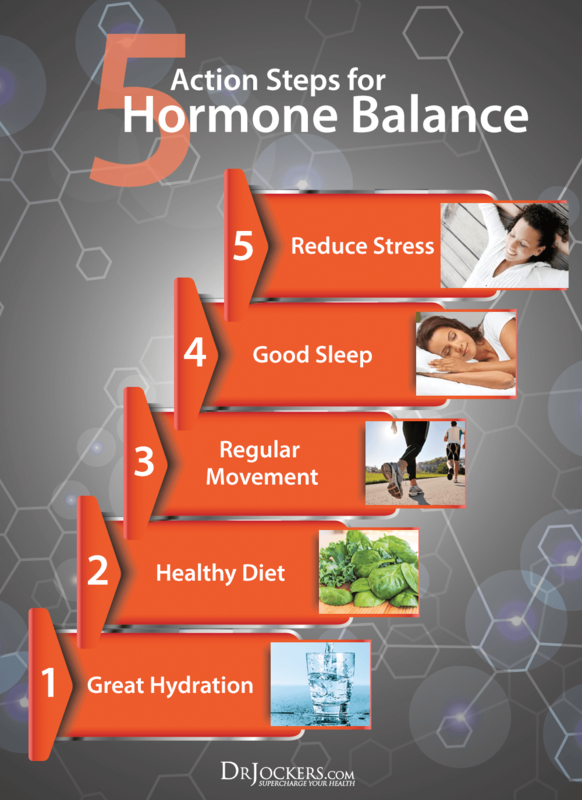 Take these 5 action steps to help manage your hormones naturally and take back control of your weight and health. Many symptoms of hormone imbalance alone can be significantly improved by simply ensuring that your body is well hydrated. When we allow our bodies to become deficient in water, cells shrink and the brain responds by sending hormonal signals anticipating the need for thirst to be quenched. Unfortunately, before we even perceive ourselves as feeling thirsty, the body is already dehydrated. Often this can cause us to reach to satisfy a salty food craving before we satisfy our thirst. Optimal hydration is key to regulating osmotic processes in critical organs like the kidney and aids in eliminating stress hormones. Fat burning hormones require sufficient water intake to control homeostatic processes in the body such as blood pressure and sugar balance (10). Considering that the loss of only 2% of body fluid will adversely affect one’s exercise performance, maintaining great hydration is necessary for modulating hormone levels and reducing stress (11). Maintaining gut health through diet is key in supporting weight loss and fat burning hormones. Bacteria reside along the gastrointestinal tract and communicate with the body by sensing hormones (4). Any disruption to the balance of gut bacteria increases stress on the body and increases the likelihood of malnutrition which can lead to unhealthy food cravings. A balanced diet consisting of a variety of fruits and vegetables and both probiotic and prebiotic foods ensures the necessary fiber, antioxidants and healthy bacteria to support gut health. Foods high in omega-3 fatty acids helps stabilize blood sugar preventing spikes in insulin. Magnesium rich in dark leafy green vegetables helps naturally elevate adiponectin levels. A significant stress reliever, exercise increases blood circulation enabling your body to better filter out stress hormones like cortisol from your system. 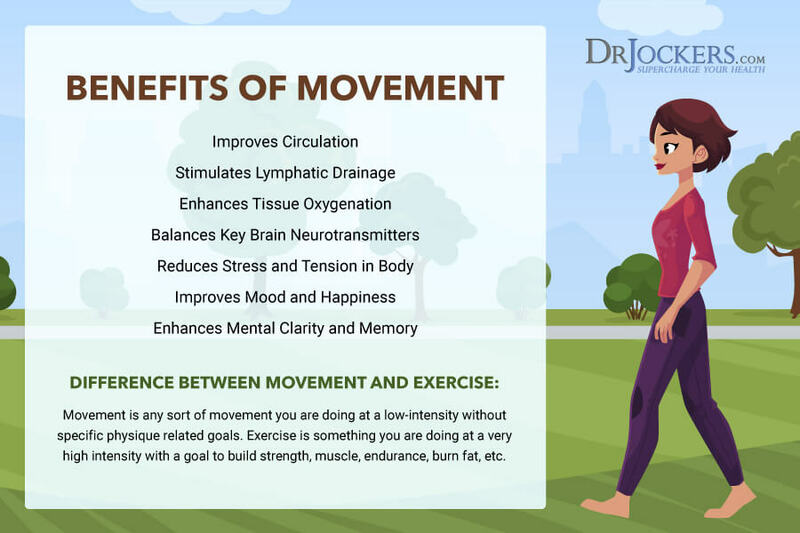 Studies show that exercise has protective benefits against declining health because it combats stress, slows down the aging process and improves sleep habits (17). Moving regularly improves blood sugar balance by reducing circulating glucose levels in the blood. This is one reason why people who participate in some form of activity following a meal have improved postprandial sugar levels. Give yourself 10 minutes before returning to work from your lunch break to take a lap around the parking lot or consider doing the dishes immediately following dinner instead of waiting until the following day. Stick to a regular sleeping schedule focusing on falling asleep before 11pm. Use an eye mask to cover your eyes and maximize your melatonin secretions. This mask helps me tremendously. Download f.lux onto your computer, phone or device and wear blue light blocking glasses at night, this can help see a 70% increase in melatonin secretion before bed. Incorporating adequate rest and relaxation into your daily life is critical to improving hormone balance. While we work endlessly to keep up with life’s regular demands, our bodies’ systems become strained and depleted of the energy to regulate physiological processes optimally. Do you believe you are doing everything right and still question why it is so difficult to lose weight? Functional Medicine looks to find the origin of the problem as opposed to only treating the symptoms. Such doctors empower patients by utilizing evidence-based functional medicine and educating individuals how to use the body’s natural healing potential to thrive and live a vital life. Finding a functional health practitioner can help you learn which fat burning hormones may be out of balance in your body and identify ways to regulate those key fat burning hormones. He or she can show you how to correct the problem by personalizing a care plan that starts you on the path to weight loss and healing. Burning fat would be a big help for your health.